Whether they’re doctors or diplomats, soldiers or secretaries, translators or nightclub waiters, the myriad mechanical marvels known as droids are an indispensable part of what keeps the Star Wars galaxy humming. The varieties and classes of droids are nearly as infinite as their designated specialties. 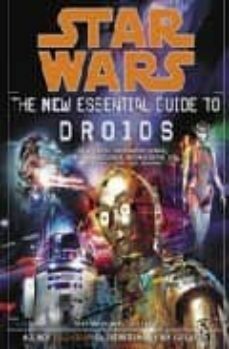 In this updated and expanded nuts-to-bolts survey, each and every droid receives its due–from the simplest drones to the most sophisticated automatons, from heroic protocol model, C-3PO, and his multitasking sidekick, R2-D2, to the insidious Separatist leader General Grievous. Inside you’ll discover:All the newest droids: from The Phantom Menace, Attack of the Clones, and Revenge of the Sith to the Knights of the Old Republic video games and the Clone Wars animated TV series, plus the bestselling multinovel series Star Wars: The New Jedi Order–all catalogued here for the first timeDetailed histories and capabilities of nearly one hundred droids along with full-color computer-generated illustrations and schematics of their construction highlightsSpecial sections, including “A Layperson’s Guide to Droids,” “Major Manufacturers,” and “A Short History of Droids”An easy reference at your fingertips–each entry is arranged by Droid Type, including medics and scientists, repair units, battle units, and cyborgs–plus special expanded entries for R-series astromechs, the 3PO protocol series, and battle droidsFor the definitive debriefing on droids, there’s only one official, authoritative, and absolutely essential technical guide!